Tribal and religious divides have torn up fragile lives in two African countries the past weeks. 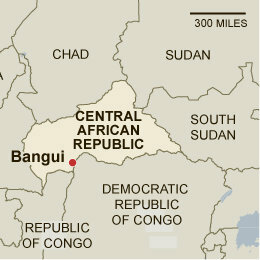 The Central African Republic - one of the most poverty stricken countries of the world - is in trouble from an increasingly religion-tainted conflict between Islamists and non ... From a Deutsch Welle article, "Some 10 to 15 percent of the Central African Republic's population are Muslims. Most of them live in the far north, on the other side of swampland that is impassable for six months of the year. The region is regarded as an underdeveloped enclave in an already poor nation: No schools, no hospitals, no roads." The article goes on to explain that much of this region looks north to Sudan and Chad, "They seek medical treatment in a hospital in Nyala, Sudan. They send their children to Quran schools in Khartoum." The [latest round of] conflict began in March this year, when previous president, Francois Bozize, was ousted in a coup when the Seleka alliance took over. The Seleka opposition was led by Michel Djotodia, who declared himself the new President. However, in the months that have followed, a stricter brand of Islam began to emerge at least as the excuse of what were increasingly lawless actions by Seleka soldiers and allies. In November, when Christian groups were being brutally attacked, Christian militias formed and fought back. France intervened, sending in a peacekeeping force trying to separate the two sides. There it stands, as the German article says, "Once again, a country the size of Texas rich in natural resources faces a dismaying choice. Should the brutal Muslim rebels be ousted, the likely winner will be the country's unpopular kleptocratic former Christian president. Regardless of religion, it is the population that is suffering in this civil war." South Sudan, the world's newest independent state, suddenly sees tribal hostilities boiling over. 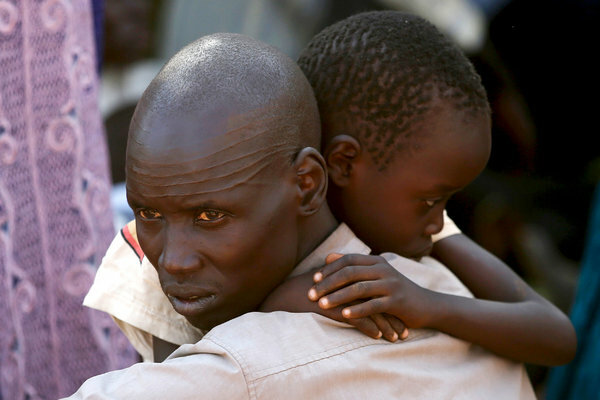 South Sudan erupted in hostilities between the two largest ethnic groups in the country, the Dinka and the Nuer. While there are some subtle religious overtones to this conflict, the identity of both groups is much more aligned to their tribal heritage, which has much in common. Last week, soldiers from the Nuer tribe revolted in their barracks and over the past several days, declared they had seized control of Bor, Jonglei State's capital city, located in central South Sudan. The Nuer revolt is headed (kind of) by Riek Machar, the South Sudanese Vice President who was sacked in July this year by President Salva Kiir. But as with all these conflicts, clarity is precious. As a BBC article describes it, "While acknowledging that forces loyal to Riek Machar had taken control of Bor, the army also said Maj-Gen Peter Gadet Yak had mutinied, taking with him some troops. What is not clear is if troops loyal to Mr Machar are working together with those of Maj-Gen Gadet, or if in fact they are the same soldiers. But it is likely, because of the history of relations between the two, and because of their background. They are both Nuers, while President Salva Kiir is Dinka. 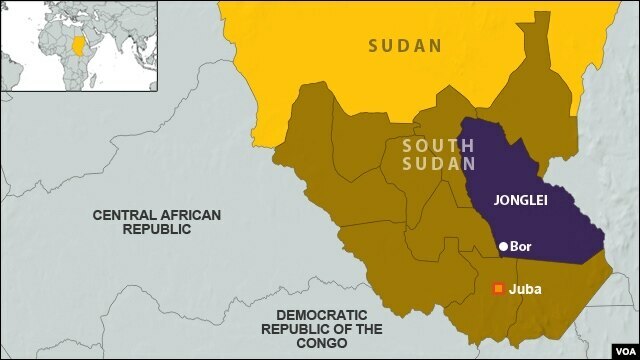 If the two are indeed in control of Jonglei, it is possible that they might try to overrun the neighbouring oil-producing states of Unity and Upper Nile. This will mean the oil-reliant economy could come under their control." Two conflicts - both could legitimately be called civil wars, joining similar conflict in Libya and Syria as 2013 winds down. May our prayers and actions be to this end.